Sam is a MPP/MBA joint-degree candidate at the Harvard Kennedy School of Government and the Wharton School. 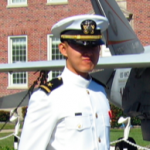 Prior to his graduate studies, Sam had the privilege of serving in the Navy and supporting a non-profit organization. He looks forward to helping other vets making the transition.